At my parents’ home, we still have this big cross-stitch of a lady ballerina. It was lovingly stitched by my mom, with a little help from the little me back then. I could still vividly remember her instructions every time she would hand the cross-stich to me: “Left over right, Okay?” And while stitching, we talked and laughed about so many things. The first blog event that I attended this year rekindled the bliss I felt in cross-stitching back when I was a kid. It was a craft affair hosted by DMC themed: DMC Handcrafted. It was held in Early Bird Breakfast Club restaurant at Century City Mall last January 13. The event was also to announce the 3-day craft affair happening at the Events Center of the said mall this weekend, January 30 to February 1. 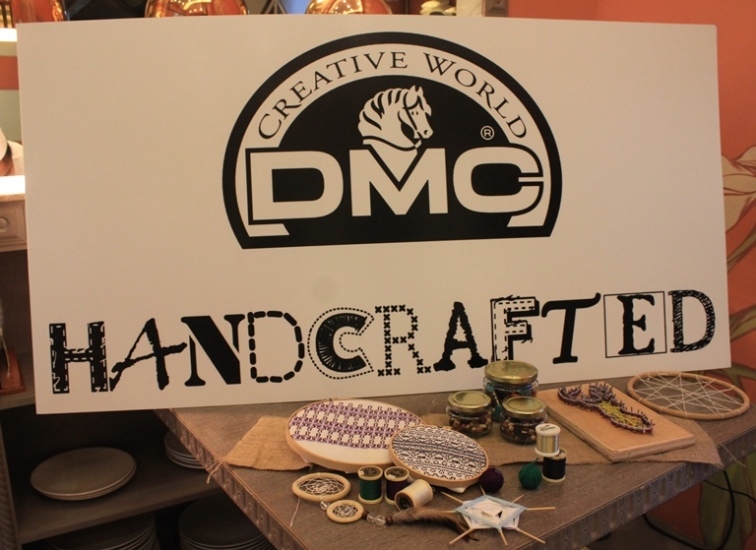 The event was filled with creative souls as seven amazing artists (DMC’s craft partners) who have incorporated crafting in their lives were invited to share their crafting stories. They were Alessa Lanot, Candy Reyes-Alipio, Karla Quimsing, Len Cabili, Marielle Nadal-Reyes, Mikko Sumulong and Trey Ajusto. I’m pretty sure you’re familiar with the fashion line called Filip+Inna. Len is the creative director of brand! Her clothes line are designed with traditional Filipino patterns from indigenous tribes which are cross stitched onto the clothes. Did you know that her works have gained global recognition already? Yup, her brand was featured in Elle magazine and was even worn by Tory Burch and Amanda Hearts! 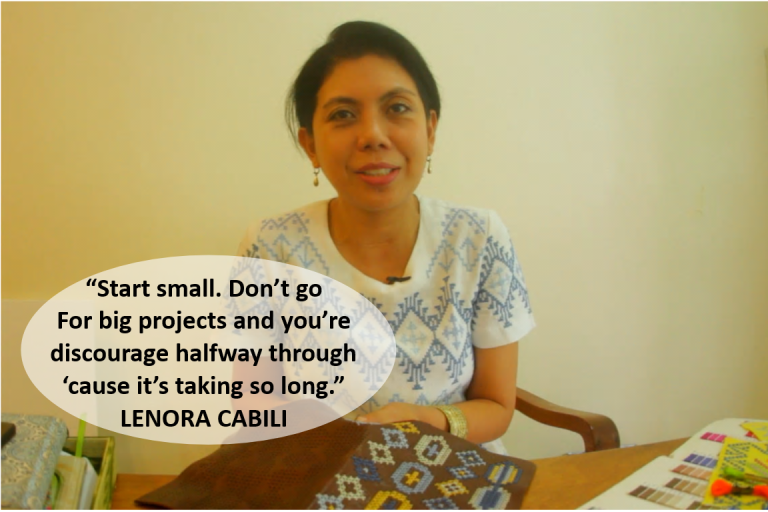 Her advice to aspiring crafters? Len also shared that part of the success of her brand is because of DMC threads of which she uses in her line of clothing. 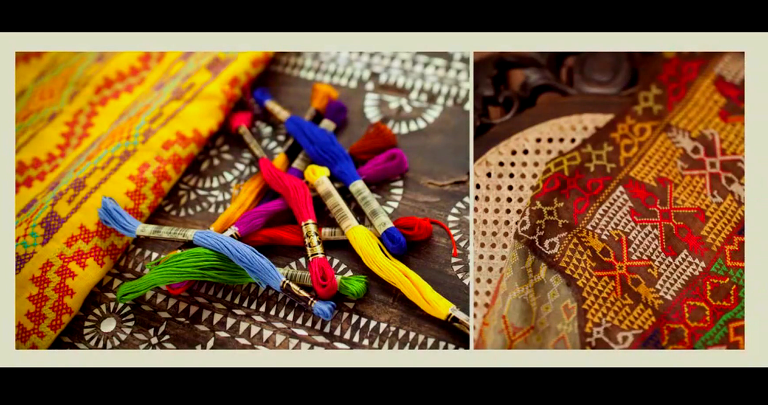 She said that she uses DMC Threads in all the embroidery that is done on the clothes. DMC is a company known for producing quality embroidery threads and crochet cottons. Even in the beginning of this century, it was said that embroiderers, lacemakers, crocheters and other needleworkers have recognized the DMC brand name as being synonymous with superior quality thread products with extensive range of colors that are proven to stand the test of time. 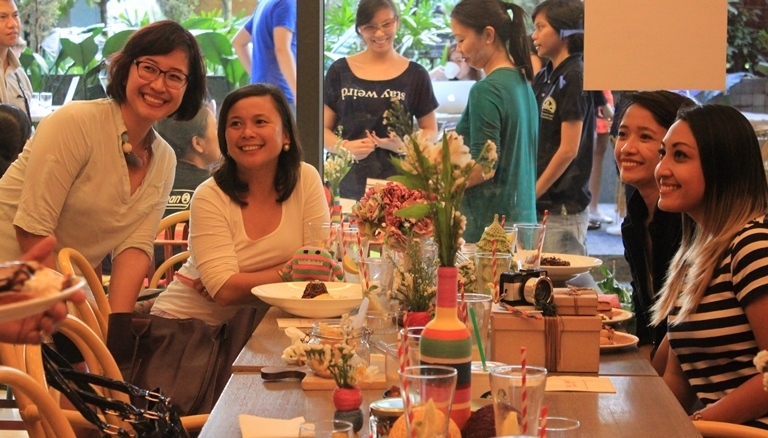 Another project featured that I so admired during the event was Karla’s. 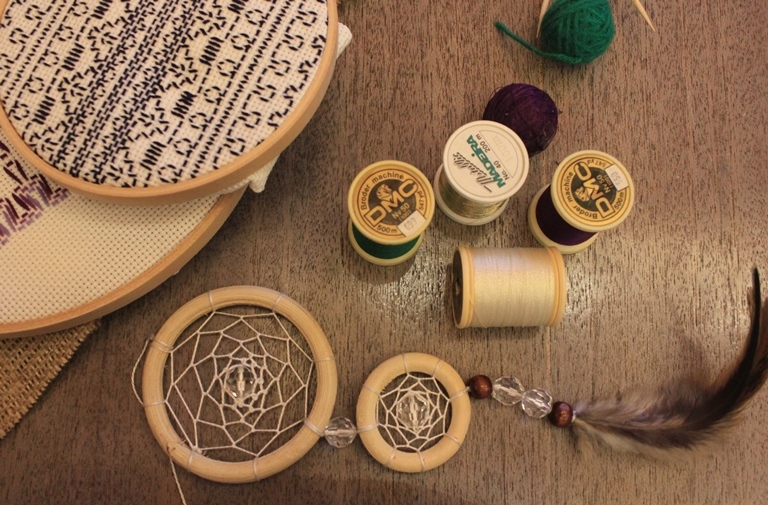 Karla creates dreamcatchers and she wishes that the sense of self, sense of adventure and the sense of serenity that she feels when making them will be passed on to homes. Her dreamcatchers are available in her online store Damgo. Karla is based in Cebu, and she is a mom of two. Watch Karla’s video be inspired to craft! You might fall in love with her dreamcatchers, too! Meet these two amazing artists in person plus the other 5 equally great artists I mentioned earlier at DMC’s craft affair at Century Mall this weekend! 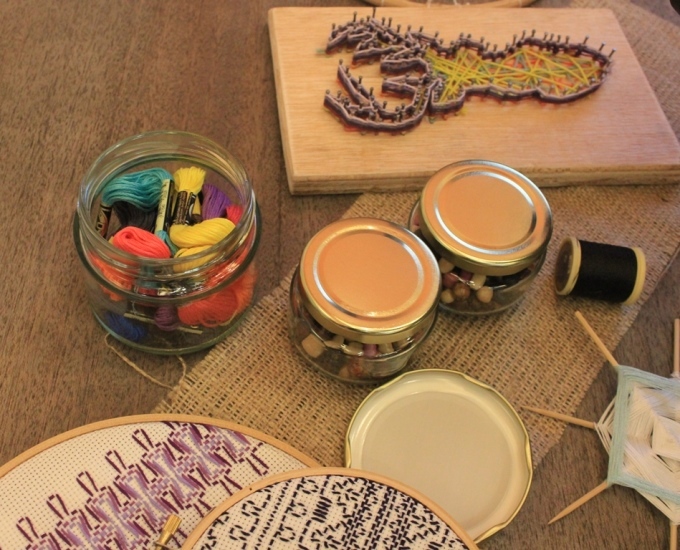 You can buy handmade pieces or learn to make your own little projects at the venue as the partner crafters will be at the fair to hold workshops for those who want to learn. 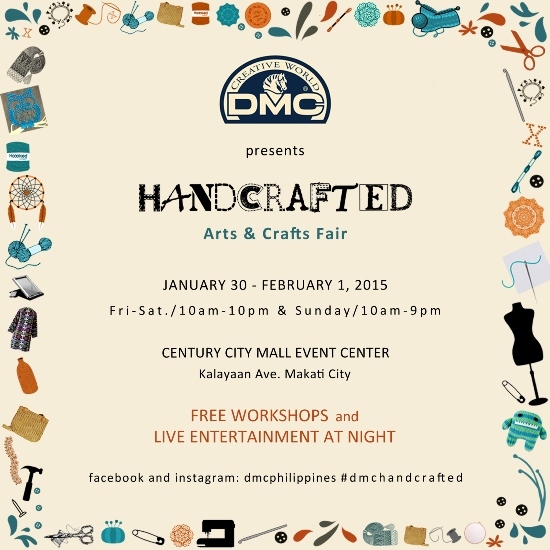 Here’s the DMC Handrafted event schedule to keep you guided. Check out the workshop you want to attend. Well then, get your creative mind going and your skilled hands moving. Let’s start crafting again, shall we? As DMC puts it, TENUI FILO MAGNUM TEXITUR OPUS “From one fine thread a work of art is born” so Dare your Mind to Create!